If you’re a peak bagger you dream of the Seven Summits. These are the highest summits on the world’s seven continents and only 400 people have had the time, money and physical perseverance to bag all seven and join this exclusive club. Texas oilman Sid Bass was the first to do it in 1985 completing the feat with an Everest climb, but the target list has changed in the last decade. Australia’s Mt. Kosciuszko (7,310 feet) has been swapped out and replaced by Carstensz Pyramid (16,020 feet) in West Papua, Indonesia as the Australasia continent kingpin. Carstensz is the least known of the Magnificent Seven as well as the most miserable and most technical. It’s a brutal logistical nightmare where porters often stage strikes mid-climb for higher pay. Frequent rain in the tropical jungle leads to ice climbs on the upper level glaciers over 16,000 feet. Mt. Everest is the best known of the seven and Kilimanjaro comes next. On the African continent there is no question of Kilimanjaro’s eminence at 19,341 feet. It is among the easier of the seven summits technically, but the extreme altitude and unpredictable mountain weather are often underestimated obstacles. 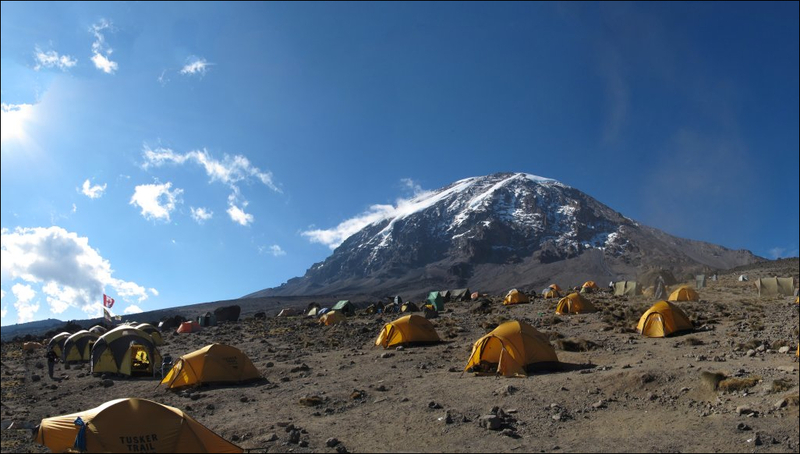 Many prospective seven summiteers do Kili first because they want to see its glaciers before they melt. Kilimanjaro is less time consuming than most of the others (Everest is a two month trip, Kili can be done in two weeks) and not nearly as expensive as most others. Kilimanjaro is one of the few seven summits where teams of porters assist trekkers to base camp near the top. Mt. Everest at over 29,000 feet is considered the most difficult and dangerous of the seven and of course the highest. South America’s Aconcagua may be the most underestimated as 70 percent who attempt to summit fall short. Although it’s not a technical climb, the altitude of over 22,000 feet and high winds contribute to the low success rate. Mt. Denali (formerly Mt. McKinley) in Alaska is North America’s highest peak and is among the most dangerous due to frequent storms and constant cold. Denali stands at just over 20,000 feet and requires multiple nights of camping in the snow. If you want to summit in snow then Mt. Vinson in Antarctica is your cup of ice tea. The entire journey to the 16,000 foot summit is in snow and cold. Europe tops out on Russia’s Mt. Elbrus (18,513 feet) but is given short shrift by mountain purists because of its filthy camps and roads that go nearly to the top. Bagging all seven peaks is not realistic for most mortals. To summit all seven could take years, supreme fitness, a maniacal determination and well over $200,000. But we still want that sense of being part of the club of lucky people who have been to the top of any continent’s highest peak. It yields a sense of achievement like no other. Kilimanjaro is a great choice to achieve that feeling. It’s in the tropics and doesn’t require navigating ice crevasses and other daring technical climbing. If you go with a first rate adventure travel outfitter such as Tusker Trail, you’ll have highly trained guides, great food and quality gear to help you safely reach the summit. The views, the biological diversity and the iconic mountain’s cool standalone silhouette rising out of the searing savannah make it among the favorites in the Seven Summit Club.